Distinctly referred to as "a redwood tree, with deep roots in American culture," Dr. Maya Angelou (April 4, 1928-May 28, 2014) led a prolific life. As a singer, dancer, activist, poet and writer, she inspired generations with lyrical modern African-American thought that pushed boundaries. Best known for her autobiography "I Know Why the Caged Bird Sings" (Random House), she gave people the freedom to think about their history in a way they never had before. 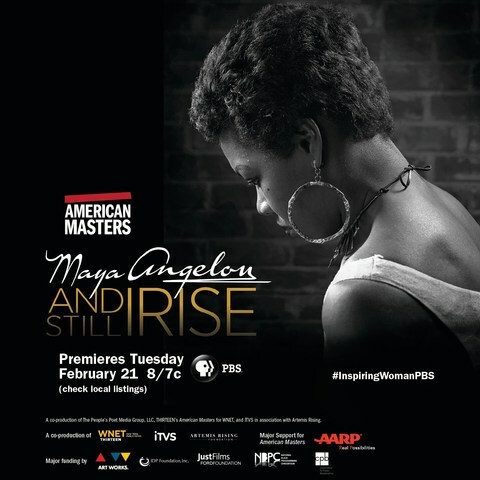 The first feature documentary about her life, American Masters – "Maya Angelou: And Still I Rise," premieres nationwide Feb. 21 at 8 p.m. on PBS (check local listings) during Black History Month as part of the 31stseason of THIRTEEN's American Masters series. PBS Distribution will release the film on DVD the same day, with additional bonus features, and on Digital HD Feb. 22. With unprecedented access, filmmakers Bob Hercules and Rita Coburn Whack trace Dr. Angelou's incredible journey, shedding light on the untold aspects of her life through never-before-seen footage, rare archival photographs and videos and her own words. From her upbringing in the Depression-era South and her early performing career (1957's Miss Calypso album and Calypso Heat Wave film, Jean Genet's 1961 play The Blacks) to her work with Malcolm X in Ghana and her many writing successes, including her inaugural poem for President Bill Clinton, American Masters – "Maya Angelou: And Still I Rise" reveals hidden facets of her life during some of America's most defining moments. The film also features exclusive interviews with Dr. Angelou, her friends and family, including Clinton, Oprah Winfrey, Common, Alfre Woodard, Cicely Tyson, Quincy Jones, Hillary Clinton, Louis Gossett, Jr., John Singleton, Diahann Carroll, Valerie Simpson, Random House editor Bob Loomis and Dr. Angelou's son, Guy Johnson. "It was a unique privilege to be the first filmmakers to tell Dr. Angelou's full story and exciting to uncover stories that most people hadn't heard," co-director and co-producer Bob Hercules (American Masters – Joffrey: Mavericks of American Dance, American Masters – Bill T. Jones: A Good Man, Forgiving Dr. Mengele) said. "The film reflects on how the events of history, culture and the arts shaped Dr. Angelou's life, and how she, in turn, helped shape our own worldview through her autobiographical literature and activism," co-director and co-producer Rita Coburn Whack (Curators of Culture, Remembering 47th Street, African Roots American Soil) said. "It is bittersweet that Dr. Angelou takes her rightful place in the American Masters series posthumously," executive producer Michael Kantor said. "We are fortunate that Bob and Rita captured these insightful interviews with her just prior to her death so we can all learn from her wisdom firsthand." Today, American Masters launches a year-long online campaign, #InspiringWomanPBS, based on themes central to Dr. Angelou's life: artistic expression, academic success, active community engagement and acceptance of difference. People can share stories of inspirational women in their own lives via text, images or videos on the American Masters website (pbs.org/americanmasters) or via Tumblr, Twitter and Instagram using the hashtag #InspiringWomanPBS. A video compilation series of the best submissions will be featured on PBS' Instagram Stories and Snapchat channels throughout the year. Additionally, previously unreleased videos from "Maya Angelou: And Still I Rise" and "In Their Own Words: The American Masters Digital Archive" will be released as part of the campaign, as well as new episodes of the American Masters Podcast. WNET Education will work with local PBS stations and local arts organizations across the country to engage diverse audiences in the campaign through a series of free, community-based screening events. They will also create educational resources based on the film for PBS LearningMedia. Funded by the Corporation for Public Broadcasting, #InspiringWomanPBS is the latest example of American Masters and WNET's commitment to educate and entertain audiences beyond broadcast. "Maya Angelou: And Still I Rise" premiered to critical acclaim at the 2016 Sundance Film Festival. 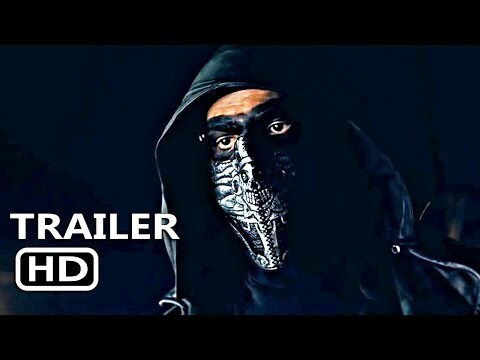 It won the Audience Award at AFI Docs and was featured at notable film festivals worldwide, including Full Frame, Sheffield, IDFA and Seattle, winning 17 awards on three continents and has been nominated for an NAACP Image Award. Launched in 1986, American Masters has earned 28 Emmy Awards — including 10 for Outstanding Non-Fiction Series and five for Outstanding Non-Fiction Special — 12 Peabodys, an Oscar, three Grammys, two Producers Guild Awards and many other honors. The series' 31st season on PBS features new documentaries about Patsy Cline (March), Chef James Beard (May 19) and Chef Jacques Pépin (May 26). American Masters is a production of THIRTEEN PRODUCTIONS LLC for WNET and also seen on the WORLD channel. American Masters – "Maya Angelou: And Still I Rise" is a co-production of The People's Poet Media Group, LLC, THIRTEEN's American Masters for WNET, and ITVS in association with Artemis Rising. Bob Hercules and Rita Coburn Whack are directors. David E. Simpson and Lillian E. Benson are editors. Keith Walker is director of photography, with original music by Stephen James Taylor. Rita Coburn Whack, Bob Hercules, Jay Alix and Una Jackman are producers. Reuben Cannon, Marquetta Glass, Steve Sarowitz, Michael Kantor, Regina Scully, Chris Gardner, Raymond Lambert, Susan Lacy and Sally Jo Fifer are executive producers. Michael Kantor is American Masters series executive producer. Funding for Maya Angelou: And Still I Rise is provided in part by IDP Foundation, Ford Foundation/Just Films, National Endowment for the Arts, National Black Programming Consortium, Anne Ulnick, Michael Metelits, and Loida and Leslie Lewis.